Diving in Tel Aviv can be a great vacation for the entire family. We at Sea Tel Aviv offer private dives, private courses (starting from just 2 days), underwater photography, and custom dive packages made especially for you. Whether you’re an experienced diver looking to dive one of the best wreck dives in Israel, a beginner looking to improve your skills, or have never dived before, diving with Sea Tel Aviv is just the thing for you. We are dedicated to providing the highest level of professional, personalized service available. We have a variety of dive sites including Gordon Caves, Bird Head Reef and the awesome Sea Wolf Shipwreck. We believe that each diver should enjoy a long relaxed dive with no hurry to return to the club because the instructor is due to the next dive. When you join our dives you get the full time needed to appreciate all the dive site has to offer. Your first SCUBA (self contained underwater breathing apparatus) diving course is the foundation upon which a lifetime of safe, fun underwater exploration is built. You don’t want to cut corners here! Your safety and enjoyment depend on the quality of the training which you receive. 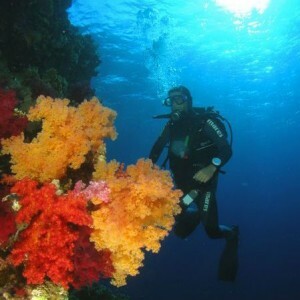 All our dive courses are taught by experienced dive professionals. Our high standards have been developed and refined to create a 1st class teaching experience in the Mediterranean Sea which has earned us an unparalleled reputation for diver training. For more information click on courses or diving activities. All of our courses are done through PADI, SSI or ANDI. In all of our course and dives you will get the individual attention you need to make scuba diving a sport you want to return to time and time again!